It is to be noted that the AVCHD format is one of the best formats that could be played on any platform of the world with ease and satisfaction. 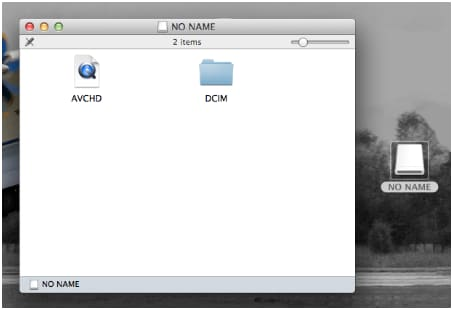 It is therefore to be noted that irrespective of windows and Mac the format is playable even if any additional tools are not downloaded in relation to Mac. The QuickTime player that has been developed by the Apple Inc and has been embedded within the Mac is something that can play and let the user watches any video of any genre including the AVCHD video. It is also to be noted that the errors are very rare as the QuickTime is always upgraded in the best manner and the user gets the best security as well. At times however the user not only faces the issue but also gets into issue when it comes to direct file AVCHD file playing onto the Mac QuickTime player. This tutorial has therefore been developed to make sure that the best is provided to the user in terms of QuickTime usage and the AVCHD files. It will also make sure that the state of the art tips and tricks are not only provided but they are also explained so that the implementation becomes easy and practical. Part 1. 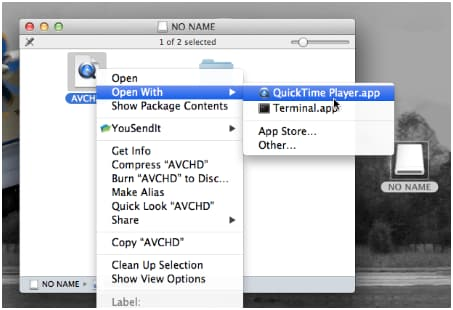 Why QuickTime cannot open avchd files? The QuickTime is the most versatile and one of the best players to make sure that the users of the Mac OS never get into issues and trouble when it comes to playing different formats. On the other hand it is also to be noted that the user might find it difficult and full of issues to make sure that the AVCHD format is played. At times the users themselves are not able to find the AVCHD files that are either stored on the disks or the users have copied them to the hard drives. In all such scenarios it is advised to make sure that the following process is followed to make sure that the best is provided to the users and they get the best results in this regard. Note: The process that have been mentioned above is simple and easy to follow still if the user gets into trouble then it is advised to make sure that the Apple Inc. online communities are contacted to get the issue fixed in several other ways as well. Step 1 The user should make sure that the program is downloaded, installed and launched. 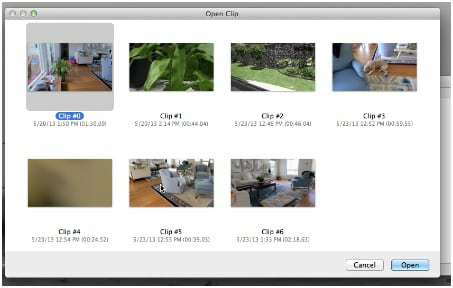 It is to be noted that the iMovie or the default video and picture capturing software make sure that the camcorder is detected and the contents are shown with the help of some clicks. The connection should therefore be established to make sure that the needful is done. It is also to be noted that the user should make sure that the best is provided to the system by clicking the connection settings button to make sure that the help section is opened and the needful is done. 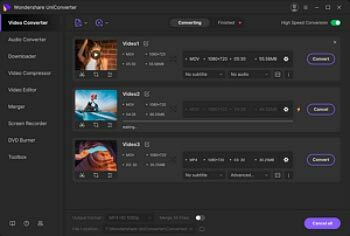 The iMovie supports very limited video formats and for the same reason it is to be noted that the proper format should be chosen against the camcorder that has been plugged and it will make sure that the user gets the best and the state of the art results. It is the iMovie software that also allows the user not only to store the data in the best manner but also allows the user to get the best and the state of the art pixel definition. This iMovie software also allows the user to make sure that the video is edited and the desired results are obtained in the best manner. The videos can also be imported to the Mac before they are imported to the iMovie and it is the best way to make sure that only those movies and the pictures in AVCHD format are stored in iMovie which the users want and the rest are directly discarded from the Mac as soon as the choice has been made. The videos are also to be edited in small segments to make sure that the less space is consumed. It is also to be noted that the mentioned is the best and the most versatile method of making sure that the needful is done and the user gets the best space storage facility as it is a tip which very few online forums or the platforms reveal.